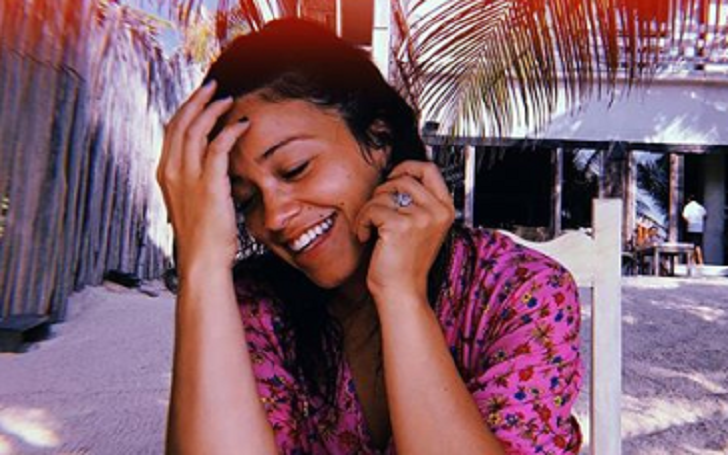 Gina Rodriguez and Joe LoCicero are all set to get married! The Jane the Virgin star and her boyfriend of one year, Joe LoCicero, have got engaged, multiple sources have confirmed. The 34-year-old Golden Globe winner took to Instagram on Monday, July 30 to announce her engagement, with posting a photo herself showing off her stunning diamond ring. Gina and Joe, 31, first met when he starred on an episode of her hit CW show in 2016, and the couple eventually started dating. He thought I was being nice to him because I am nice to everyone that comes on the show. So he thought I was just being super sweet to him and I thought he was just being sweet on me because I’m the lead. Joe has publicly supported Gina as he was by her side during the Emmy Awards in September 2017 and the Screen Actors Guild Awards in January. The two were spotted kissing while walking the 2018 Oscars red carpet in March.